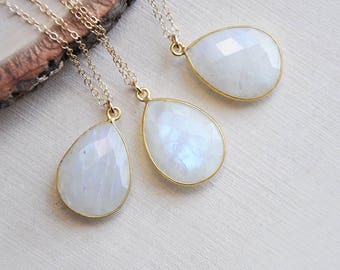 Add a touch of nature inspired beauty with a genuine moonstone necklace. These beautiful moonstones are wire wrapped and suspended from natural emerald, larimar and hydro garnet. 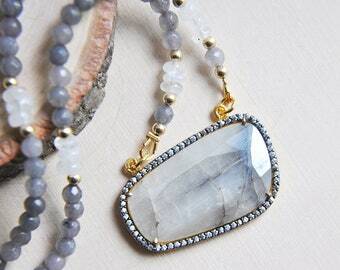 When the light hits the moonstone each layer of the surface reflects the light differently and is therefore unique and truly one of a kind. 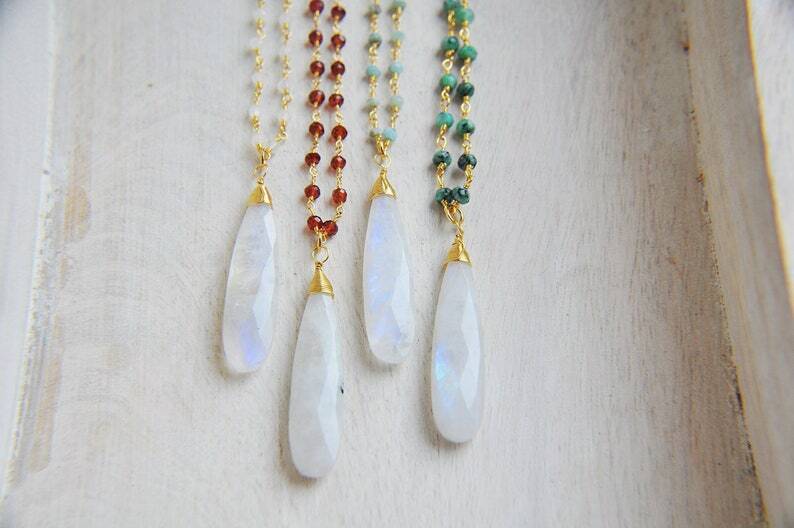 The moonstone teardrops are faceted and range in an array of colors, some have more blues or greens. 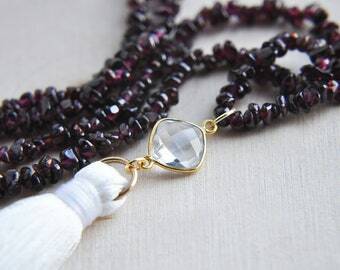 There is an extender to adjust the necklace along the neckline. 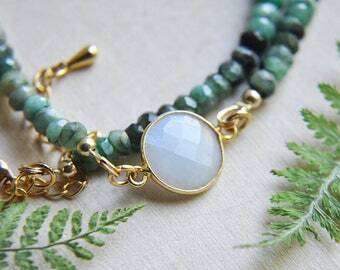 You will receive the exact moonstone necklace you select from the drop down menu. All of my jewelry arrives suitably gift wrapped ready for giving.